The industrial endoscope belongs to the NDT equipment,and it can check the equipment without disassembling.And the industrial endoscope is known for its simple operation, powerful function,stable and reliable equipment,no loopholes in inspection,and so on.It has been widely used in industrial manufacturing, maintenance and other aspects.Here's a brief introduction of how the industrial endoscope checks the refrigerator dryer failure. The malfunction of the refrigerator drying filter will cause the blockage of the pipeline, resulting in no refrigeration or poor cooling effect.There are two kinds of clogging in the drying filter.Dry filter is damaged due to 1, absorb too much water, leading to the internal desiccant failure or aging; 2,the prossece of welding filter results in clogging of the filter shell.Industrial endoscope can put the probe into the drying filter without disassembling refrigerator.The joystick control probe of industrial videoscope,can observe the refrigerator dryer in all directions,such as jam,which can be solved at the first time to guarantee the normal operation of refrigerator. 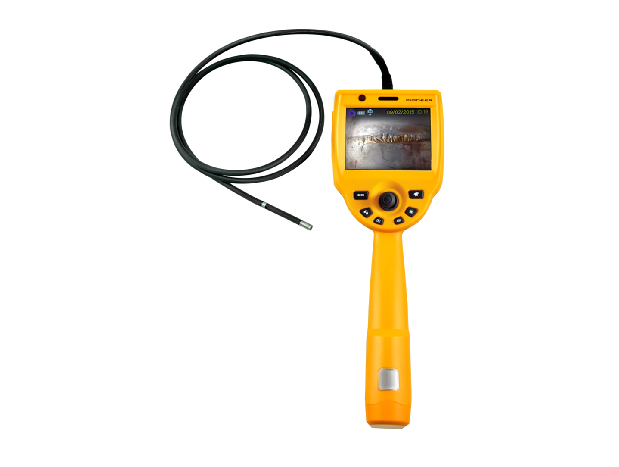 At the same time,the industrial endoscope has a video camera function,which can record the the internal dry filter during detecting.The advantage of the recorded is: according to the recorded video information, we can grasp the internal situation in such a dry filter,and do early prevention before a failure.The industrial endoscope is a good helper to check the faults of household appliances. Coantec industrial video endoscope can check the internal clogging of the refrigerator drying filter,which can make the refrigerator work properly and protect people's quality of life.